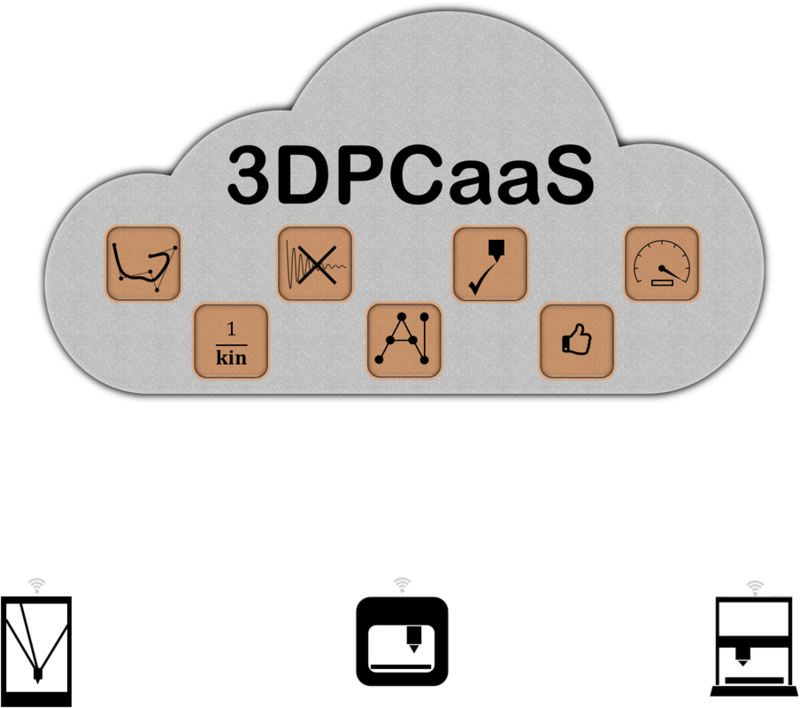 3DPCaaS seeks to bring the emerging paradigm of Control as a Service (CaaS) to 3D printers. It will provide 3D printers with on-demand access to cloud-based advanced control algorithms for B-spline interpolation, vibration compensation, extrusion rate control, feedrate optimization, inverse kinematics, artificial intelligence, recommender systems, and much more. These algorithms will result in huge improvements in 3D printer performance and functionality at low cost. Other computer controlled manufacturing machines, like laser engravers and machine tools, will also benefit from 3DPCaaS.